When Beyonce wants you to see her, she almost always does it her way. She is currently hanging out with husband Jay-Z on his '4:44' tour and she posted her look on her instagram from the tour stop at the Barclay's Center in New York. 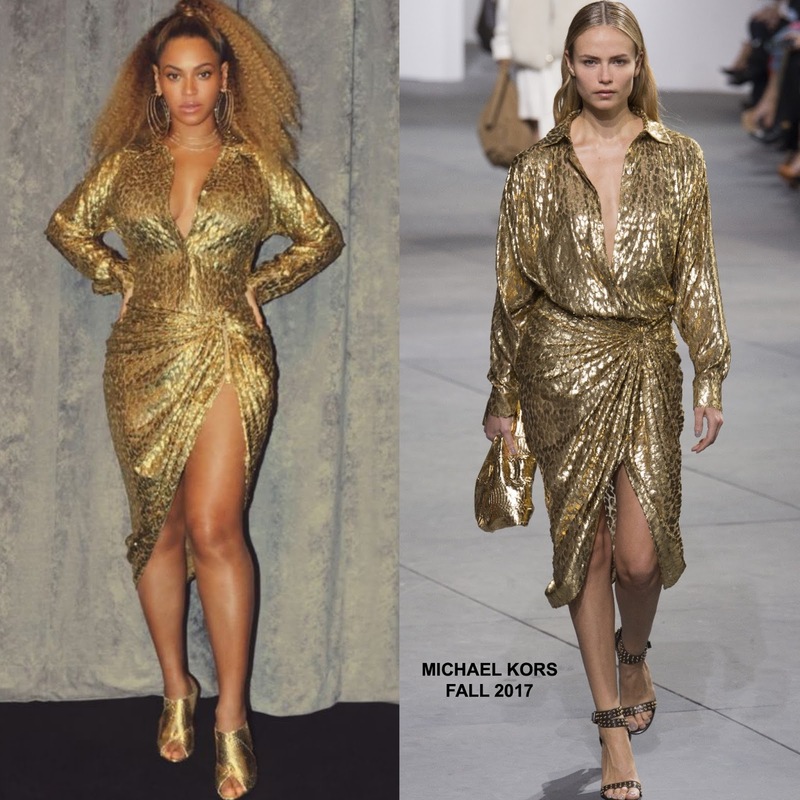 She posed for the gram wearing a MICHAEL KORS FALL 2017 long sleeve gold leopard dress with a shirt collar, v-neckline and a crossover, gathered split detail skirt. Bey of course has a curvy body which is why the dress is so tight on her and looser on the model which is how it is suppose to be. However she doesn't look bad but a strappy or ankle strap sandal could have elevated this look over the TOM FORD mule sandals. Which version of the dress do you prefer, Bey's fitted look or the looser fit on the model?